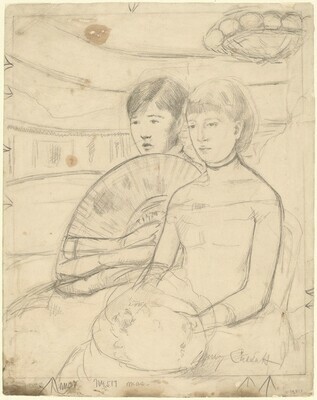 Possibly shown in Mary Cassatt, Baltimore Museum of Art, Baltimore, 1936, no. 10. 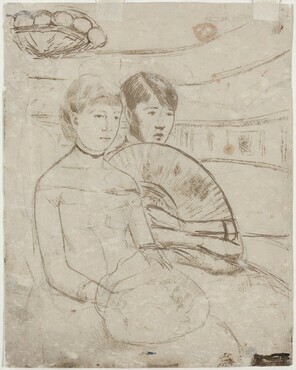 Degas/Cassatt, National Gallery of Art, Washington, DC, 2014. Breeskin, Adelyn Dohme. Mary Cassatt: A Catalogue Raisonné of the Oils, Pastels, Watercolors, and Drawings. Washington, DC: Smithsonian Institution Press, 1970, no. 756. Wadley, Nicholas. Impressionist and Post-Impressionist Drawing. London, 1991, no. 20. Jones, Kimberly A. Degas/Cassat. Washington, DC: National Gallery of Art, 2014, no. 32.